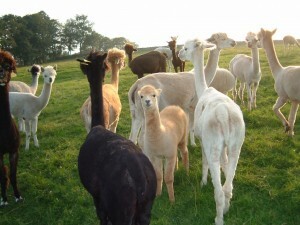 Richard arrived for his smoking course on Saturday having already learned something – what an alpaca looks like! Directions that we send to guests include driving past the alpaca farm – our neighbours breed them as well as rare breed sheep, pigs, llamas and donkeys. Probably other things to, but we lose track! Kevin is also an excellent painter and decorator in and aroundd Shap, but I digress…. It was yet another cold course at the weekend, – fun, but cold. Finally the sun is out here in Shap, not only are we not cold, we are actually warm, which lifts the spirits. Our next course is not until the 8th June (no spaces – sorry) because we have a full diary – some fun, jubilee, friends visiting, concert going engagements but also work related. Yesterday Smoky Jo completed an “Emergency First Aid at Work” course, which I hope she never has to use, but it’s good to have up to date advice on what to do if something goes wromg for someone when they are here. We both did first aid in our previous lives, but thought it time to catch up now CPR is done to the rhythm of “Stayin’ Alive” rather than the funeral march, as it used to be. Jo is also practising a few new items for her chef’s demo at the Northumberland County Show on Monday 4th June. Hope to see you there! 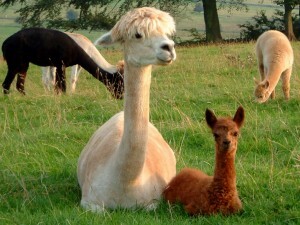 More alpacas, just because they're lovely!